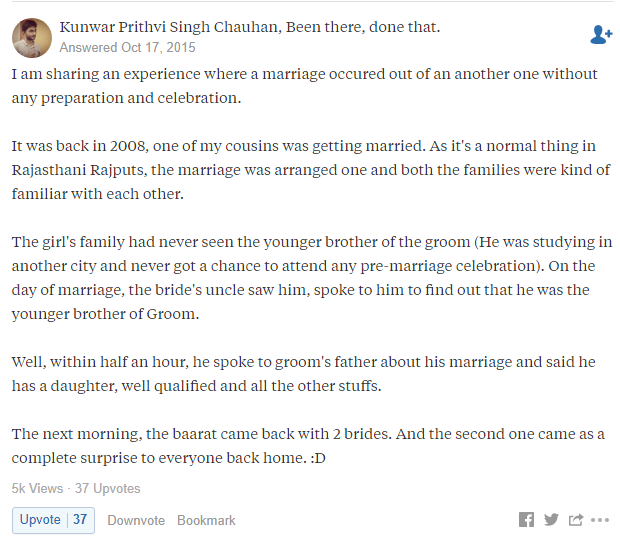 A curious soul on Quora sought answers to 'the most awkward arranged marriage situation that happened in your life? ', answers will amaze you. Read on. Marriage in India is quite an important task for parents that needs to be accomplished at right time. So, as soon as their kids reach a certain age, they must get married, else it could be too late to find a ‘perfect match’. So, in case, their kid has not found someone for themselves, Indian parents take upon themselves to find a match and that is the ultimate joy of their life. But some parents are so desperate to get their children married as soon as they ‘settle down’ – meaning, get a job – that they go a bit too far. And that can get pretty awkward for the other person. Every Indian guy and girl will totally relate to the fact how parents start pestering them to get married after a certain age, and if not parents, relatives surely make your life difficult. 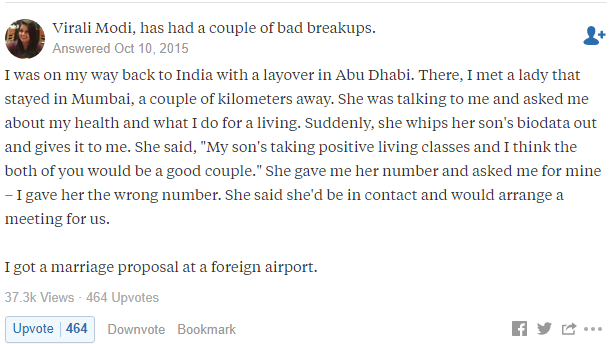 A curious soul on Quora sought answers to ‘the most awkward/funny arranged marriage situation that happened in your life?’ and Indians were quick to come up with funny, awkward and some of the most shocking responses. 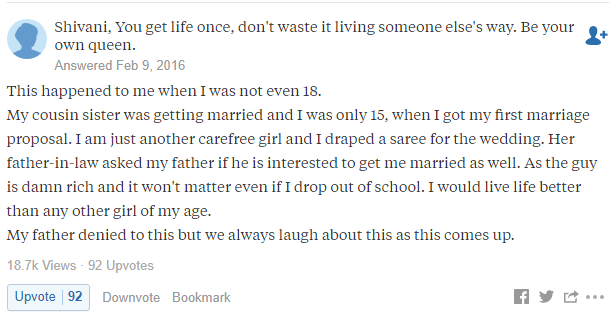 The whole process of arranged marriages does get a little funny and illogical at times and these Quora responses just go on to prove it. Indian parents are under so much needless society-driven stress when they are looking for brides/ grooms for their children that it is easy enough to feel bad for them. It IS difficult for them to understand that they need to take a chill pill and enjoy their life thanks to their own upbringing. 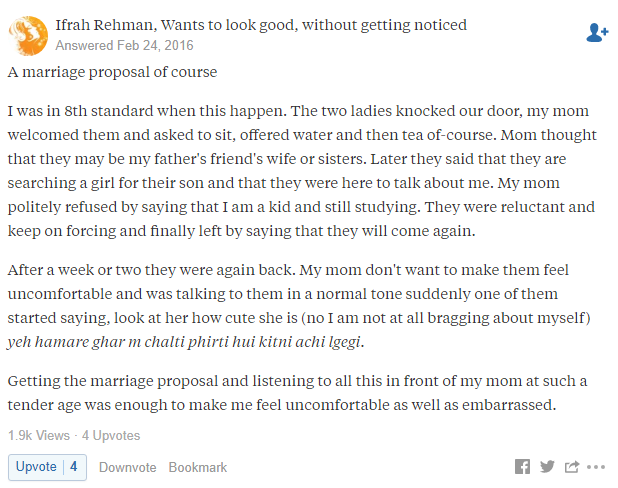 Have you ever had any such funny/ awkward/ shocking arranged marriage experience? Do share with us in the comments section. Here’s the link of the Quora thread.